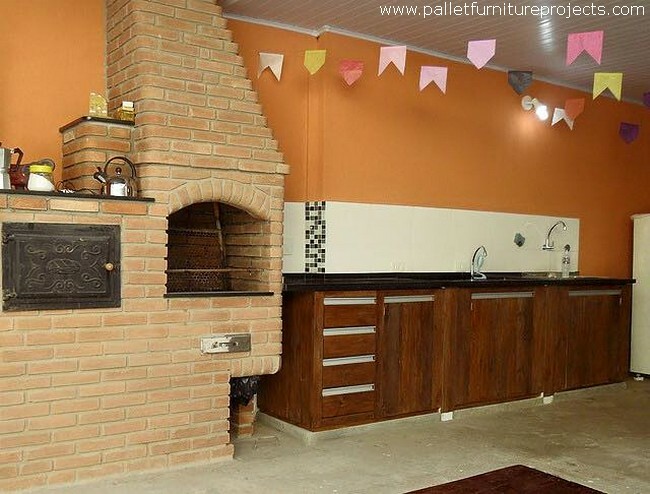 There was a time when the wood pallet recycling was literally dominated by the males, but as the time kept passing more and more females got inclined towards this and this resultantly brought us some more womanly projects that were related to the kitchen especially. Even in the kitchen the shipping pallets really performed well. 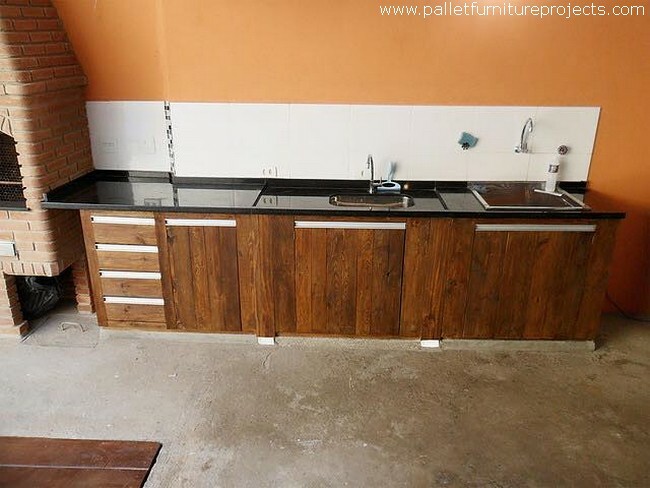 They were just upto the mark, to give you guys an idea that in how many ways the wood pallet can be used in kitchen, here are some wooden pallet works in kitchen. They all are dedicated to the kitchen running ladies. This is basically one example, we have selected a location or a place that is stuffed with excessive wooden pallet creations in different shapes and forms. Sp we are going to have a look on all of them one by one. 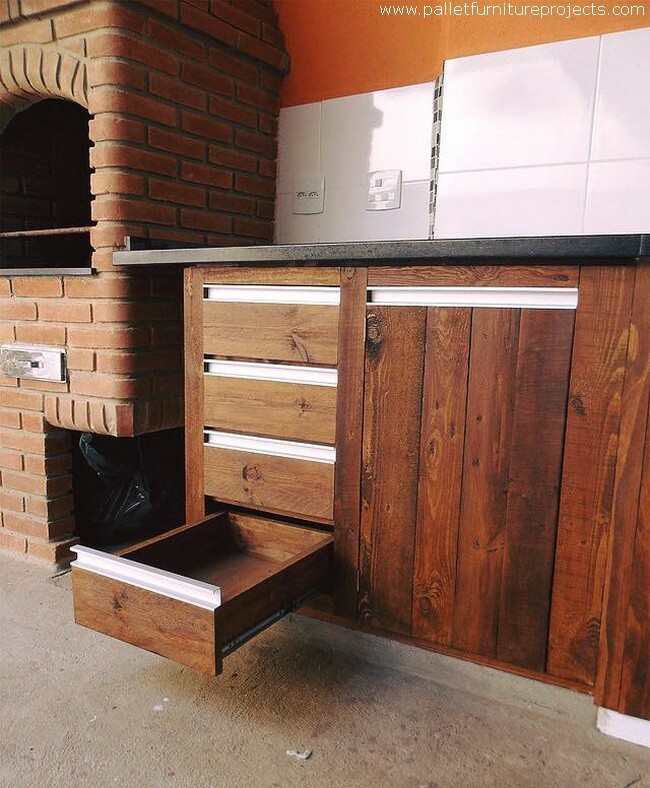 Each wood pallet idea can be applied in each kitchen differently if not all at one time. First of all, this is probably the most important feature of a well organized kitchen. 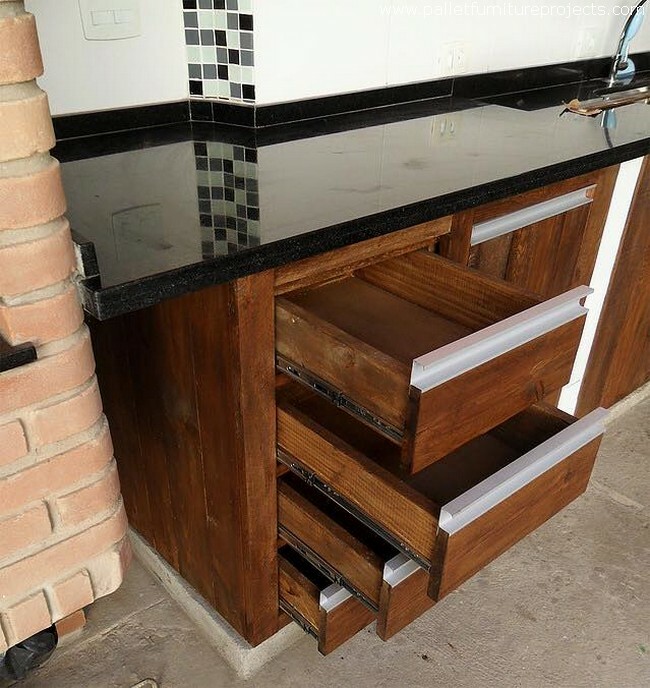 These wooden cabinets would just make your kitchen a better place to work in because unless you are running short of storage, the whole kitchen would be messy enough to distract you from the work. This is an internal view of the sink that we have installed in this wooden cabinet all around the walls. Just because we were having some ample supplies of shipping pallets so we just showed some extravaganza with the fixtures and the wood pallet was all around the place. If we talk about the structure, each wooden pallet drawer and cabinet is made with finest skill demonstration and finest metallic railings are used inside the drawers to ensure the smooth movement of each drawer. All were perfectly sized and shaped. 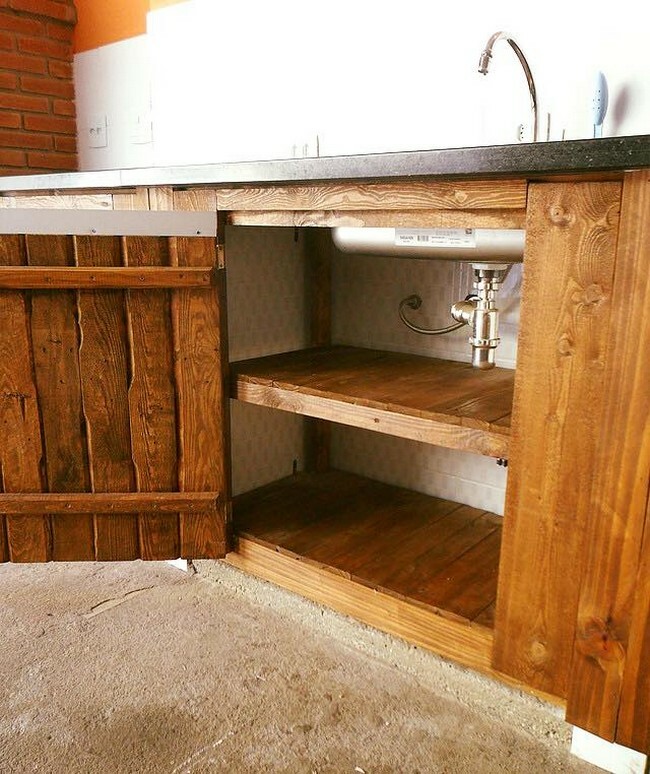 And here have a distant look of the whole large wooden pallet recycled cabinet along with the area specified for sink, some of the freshest shipping wood pallets are used in making this kitchen embellishment. While the top is made with high quality ceramics and marble. So this makes a commendable amalgamation of rusticity and glowing beauty of the marble. As this was meant to be the project of the prime portion of the house, so the shipping wood pallet selection was pretty cautious. 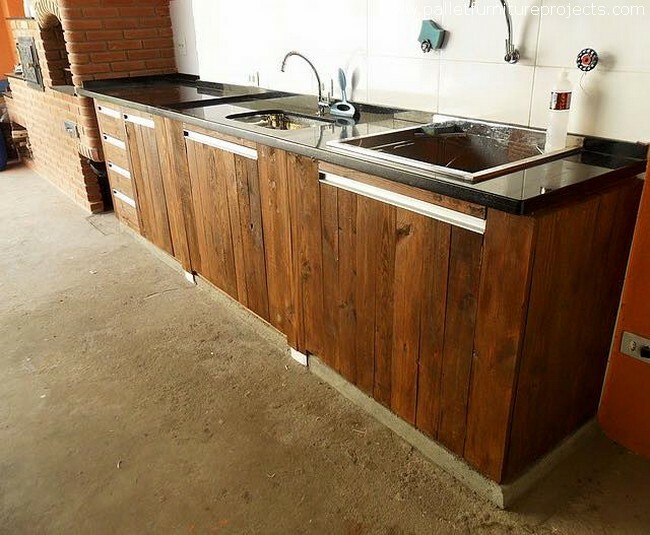 We avoided the planks with large nail scars and broken dots to maintain a symmetry and beauty in these wood pallet kitchen works.